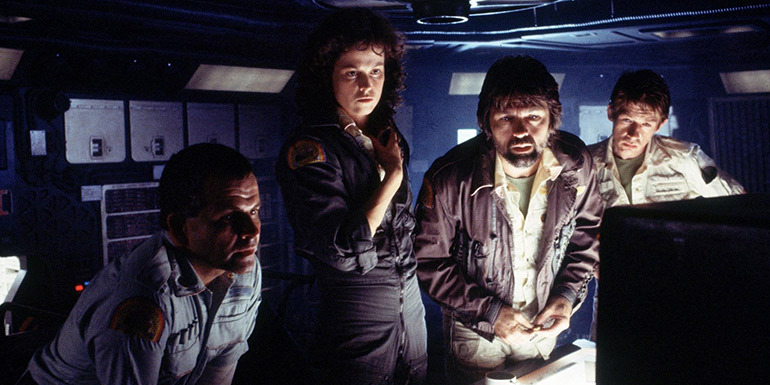 When the crew of a spaceship receive a distress signal from a desolate planet, they investigate and discover a life form that is perfectly evolved to annihilate mankind. A seminal sci-fi classic. In the original script, all characters were ‘unisex’, meaning that they could be cast with male or female actors. This also explains why characters are referred to only by their surnames during the film. The set design for the alien nest was kept intact after filming and later used in Tim Burton’s Batman. Alien (1979) contains a sequence of flashing lights which might affect customers who are susceptible to photosensitive epilepsy.